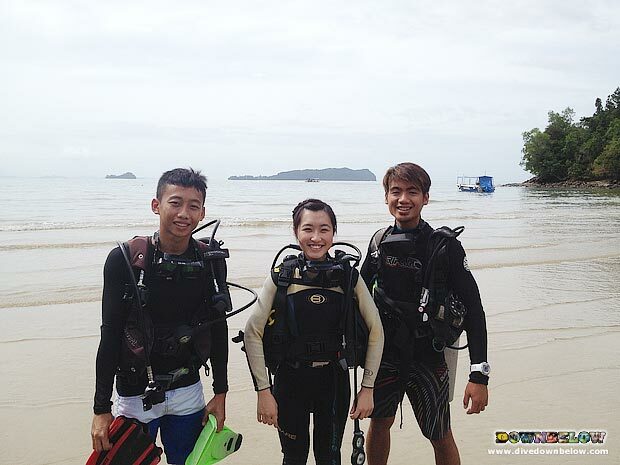 ‘Work for a Career’ like Danny Boy at Downbelow’s PADI 5 Star IDC dive centre! Home/News, Professional Diving Internships/‘Work for a Career’ like Danny Boy at Downbelow’s PADI 5 Star IDC dive centre! The PADI Discover Scuba Diving program is conducted by one of our full time PADI Instructors Vic and his students are a client from Hong Kong and our new Trainee Danny. Danny is under our community program, ‘Work for a Career’ created by Downbelow. Within his 1-year contract, Danny is given the opportunity to begin and progress his dive education up to the first professional scuba diving rating PADI Divemaster! Danny’s PADI Instructor, Vic, started his professional dive career through the program too, and like Vic, Danny may reach to PADI Open Water Scuba Instructor and live the diving dream! Danny will have a once in a lifetime experience that he may not have otherwise through our ‘Work for a Career’ program. There will be a lot of hard work needed from Danny, and it will be worth it to eventually have the opportunity to discover his passion of scuba diving through travel and work; in other words, the dive lifestyle! All Trainees at our premium PADI 5 Star IDC dive centre must participate in PADI Discover Scuba Diving, which is a 1-day program. The morning session will consist of a briefing and followed by an introduction to scuba diving skills in a confined shallow water environment. This will be conducted in the calm lagoon directly in front of our beach house. After the skills, Vic will assess the comfort level of his students and the dive conditions before guiding them on a tour of the amazing underwater world! The first open water dive for any diver is fascinating to say the least. Danny will treasure the memory as he works his way through the PADI system of dive education and become a PADI professional! By Joanne Swann|2014-01-30T16:47:23+08:00January 30th, 2014|News, Professional Diving Internships|Comments Off on ‘Work for a Career’ like Danny Boy at Downbelow’s PADI 5 Star IDC dive centre!